Kit with Balls, Cues, etc. All Dining Pool Tables are Built with Love. You entertaining on your dining custom pool table today. Quality One of a Kind Dining Pool Tables. Our craftsmen have years of extensive furniture knowledge, proven construction techniques yielding exquisite pool tables, we take great pride in tables that are handcrafted with expert accuracy and loving care. Unique pieces of art that are built tough and are as reliable as quality furniture from yesteryear. We are not a production company and proud of it! Custom design mixed with state of the art techniques in order to create that perfect pool table for you. Let us provide the convertible dining pool table of your dreams to compliment the perfect living and entertaining area! We have BCA certified installers in all 50 states, and if you already have an one in mind we are more than happy to work with them as well. You Pick the Style and We Will Deliver! With a convertible dining billiard table in your home, you will find yourself ready to host a party that is truly memorable and sure to make your friends and neighbors jealous! In about a minute, this convertible pool can be transformed from a dining table your guests just ate at into a great-looking billiard table for the after party fun! Why a Generation convertible pool table? That’s simple! With Generation Billiards, you can feel confident that you have selected the best possible table for the best possible price. 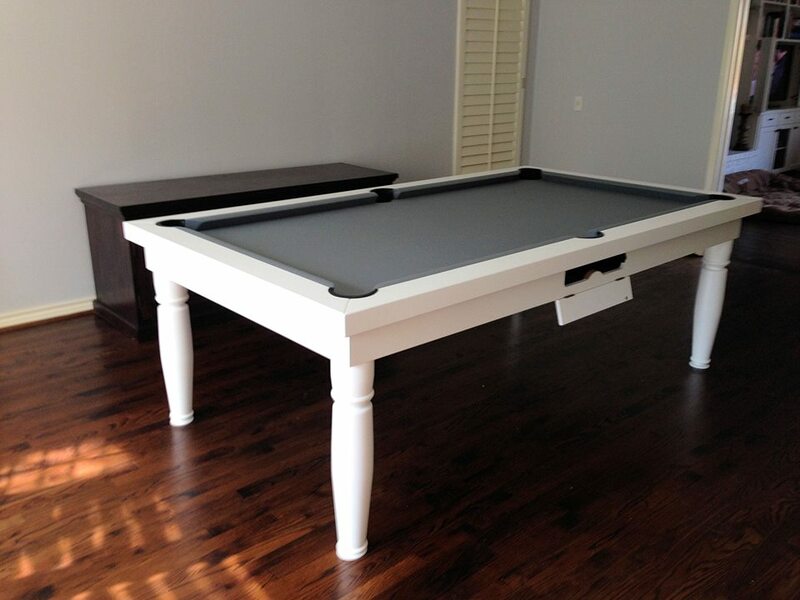 We have the world’s largest and most versatile selection of convertible pool tables. Moreover we offer them at prices that simple cannot be beat for the quality and craftsmanship we offer. Each of our tables are constructed from the highest quality materials available. We use solid oak, birch and ash wood, the world’s finest Italian and Brazilian slate, durable high grade glass and plexiglass, and the best cloth available: Simonis, Championship and WSP Textiles. We also have designed a wide variety of convertible billiard tables to match any style be it modern, traditional, old world, elegant, simple or classic.